AlbiniPhotography: AlbiniPhotography:: NEW Website and Blog! 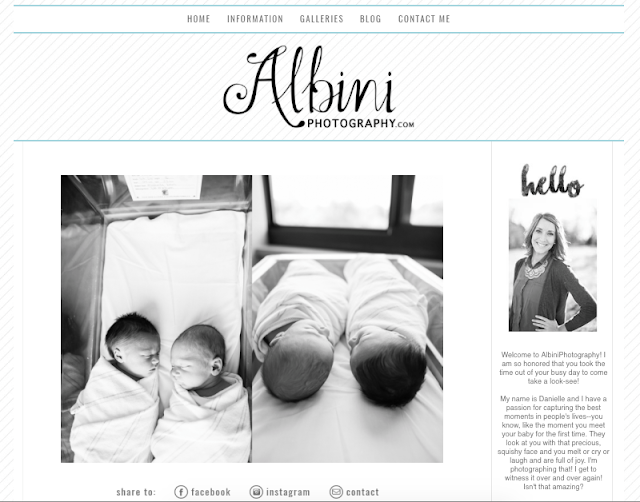 AlbiniPhotography:: NEW Website and Blog! Hi there! Head on over to check out my new website and blog. This is exciting stuff! From here on out, I will be posting over there. Look at how cute it is! :) Thanks for following along and supporting me and my business. I appreciate you! The photos on your blog are absolutely stunning! Have you thought about promoting your blog through Search Engine Optimization (SEO)? SEO can help your blog rank better in organic search results. It can definitely help with visibility of your new blog! I'm excited to check out your new blog and everything you have to offer. Keep up the great work!